Available to USTA Georgia approved CTAs for technology, personnel, office equipment, education, and other approved projects. Deadline for Grant submission 3/29/19. Grants will be reviewed and awarded by 4/26/19. Priority will be given to grants the demonstrate initiatives that grow participation through membership. 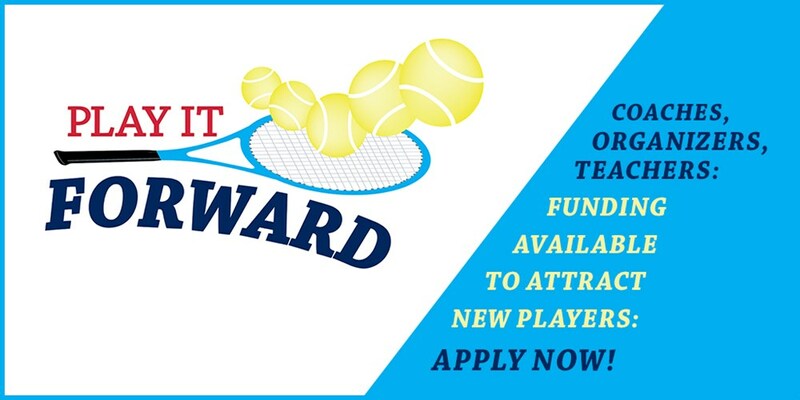 USTA Georgia Grant Application - Applications are closed for 2019. Available to USTA Georgia approved CTAs for new, or expansion of, USTA programs that target diverse populations. Available to USTA Georgia approved CTAs for new programs such as USTA League Tennis, Junior Team Tennis, Corporate, Tri-Level, Tennis On Campus, and other USTA programs. Available to USTA Georgia approved CTAs for new, and expansion of existing, projects that promote USTA membership and participation. Available to USTA Georgia approved CTAs for Marketing purposes.